BOISE, Idaho — Who doesn't love a breath of fresh air? Especially here in Idaho. There are so many opportunities to get outside and see what the Gem State has to offer, and BONUS this place is so dog-friendly. So what happens when you marry your love for the outdoors with your four-legged friend? 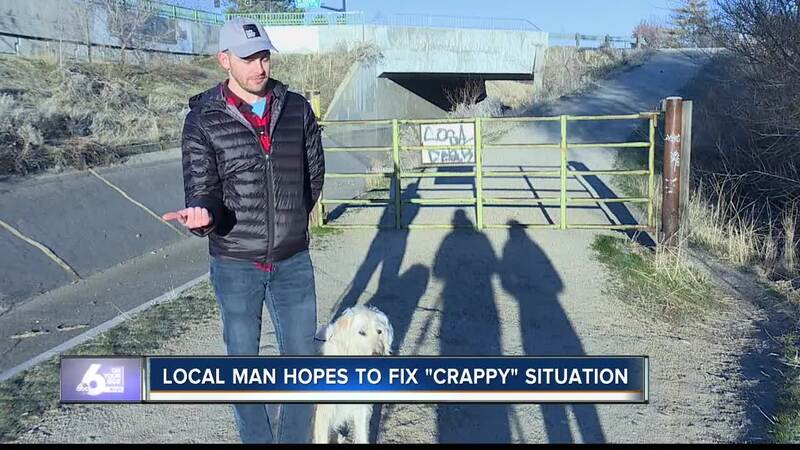 Well according to one local man, poop, and lots of it. Cameron Crow is like many Idahoans, he has a love for hiking with his dog. For him, getting outdoors is "a great way to clear [his] head." But one path he travels frequently he's noticed dog poop, "little mounds every 10 feet or so..." says Crow. With most trails honoring their rustic roots most pet owners may assume that leaving behind a pile of waste is "part of nature", but Crow says, "I would marvel about how irresponsible it is for people to not pick up their dog’s poop and leave it for everyone else to look at." Cameron Crow has decided that the best way to tackle this "crappy" problem is to be apart of the solution. To join Cameron in his efforts to keep walking paths and trails "poop free", click here .